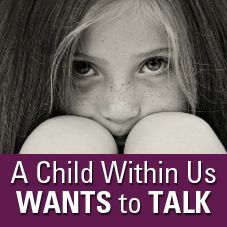 Very often we who have experienced childhood abuse have coped at least in part through some degree of deep dissociation. Title: Very often we who have experienced childhood abuse have coped at least in part through some degree of deep dissociation. 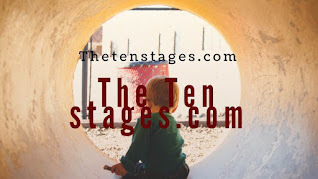 Working through the ten stages can be painful, and potentially we all suffer and grieve. Very often we who have experienced childhood abuse have coped at least in part through some degree of deep dissociation. While this was necessary for our survival then, continued dissociations (especially forms that are apparently not within our control) are not adaptive once the abuse has stopped. Now the task of the ten stages is to help us stay in the present long enough to learn other means of establishing safety in the present. How does someone with automatic survival skills of dissociation learn to do this? Gentle meditation is one skill that can help, mutuality of grief and suffering another. In the past, we were encouraged to speak about our abuse in the belief that this catharsis would be healing. This instead led to re-traumatisation rather than mastery of the abuse material or healing. In fact, some childhood survivors are able to tell their stories easily, but in a dissociated manner. Because of the risks involved, this healing work is best done with the help of our long-term students who can help us learn to cope with past memories effectively. Our goal is to help us connect to the past while staying in the present. We are focused on a stage approach, which includes early preparation, focus on developing trust and consent and stabilisation. 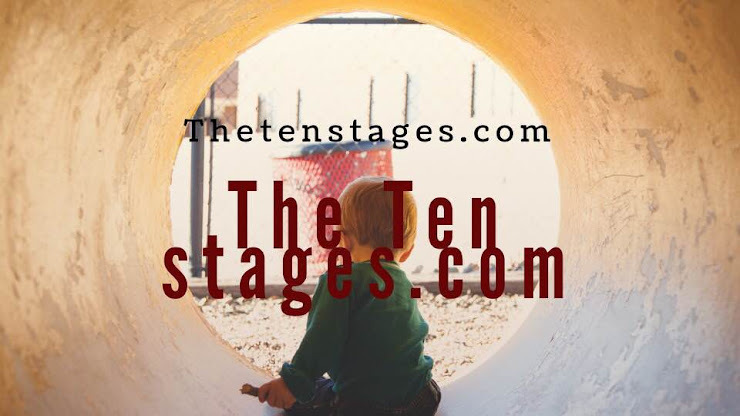 first phase of the ten stages is safety. How can we experience this if we do not even feel safe within ourself, but at the risk of constant flashbacks? In fact, for many of us it may have felt that there were only two choices available to us historically: abuse or dissociation. 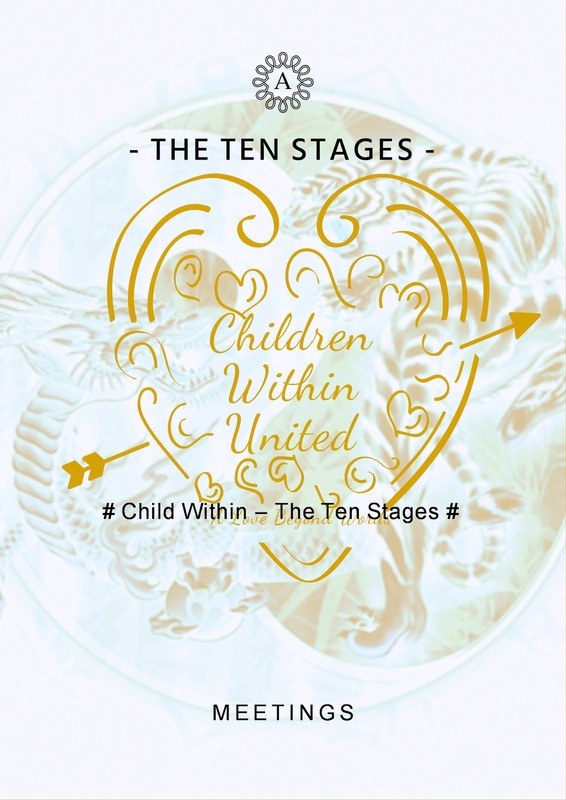 We begin by learning trust and consent threw interaction with our child within so that we can be present enough to develop a whole ten stage range of self-care for our child within which is crucial to our recovery. Contact with our child within is about learning to stay present (or for most of us get present in the first place) in our body in the here and now. It consists of a set of skills/tools to help us identify and manage dissociation and the trauma-induced emotions that lead to it. Processing done from a dissociated state is highly useful in the ten stages and leads us from Trust and consent to our specific truth. Once we are present, we can need to learn other means of managing the feelings and thoughts associated with our recognised truthful memories. Every one is different. Dissociation identification will work for different people in differing ways. -Moving from trust and consent often takes the form of focusing on the present by tuning into it via all our senses. For example, one meditational technique could involve focusing on a sound you hear right now, a physical sensation (what is the texture of the chair you are sitting on, for example?) and/or something you see. Describe each in as much detail as possible. -Diaphragmatic or deep breathing meditation: Childhood survivors often hold their breath or breathe very shallowly. This in turn deprives you of oxygen which will make anxiety more intense. Stopping and focusing on deepening and slowing your breathing can bring you back to the moment. -Relaxation letting go, guided ten stage study - We with dissociative mindsets are engaging in a form of self-hypnosis much of the time. The trouble is it appears out of our control, it is out of our control!But it is not out of the control of our child within. Our guides have become trained in Child within gentle meditation and can help teach you how to use dissociation in a way that works for us. We build and develop a safe container for childhood memories in an awakened child within between sessions, create a safe or comfortable place (“safe” may not be a concept some of us can relate to or may be triggering to some) Contact with the child within we learn the ways to turn up and down the “volume” of painful feelings and memories locked away within us moving from anger to peaceful understanding. Meditation and child within contact and emotional management skills can help us proceed with the study of our child hidden within in a manner that is empowering instead of re-traumatising. Labels: Very often we who have experienced childhood abuse have coped at least in part through some degree of deep dissociation. From the moment we are born, we are subtly, and sometimes overtly, conditioned to tune out our intuition. Title: From the moment we are born, we are subtly, and sometimes overtly, conditioned to tune out our intuition. INTULEXIA regaining of our childhood voice: Animals pay attention to the information that comes to them intuitively as hunches and feelings. Humans, on the other hand, have been trained to disregard such impressions as inconsequential. From the moment we are born, we are subtly, and sometimes overtly, conditioned to tune out our intuition. Intuitive information often comes in the form of feelings, and feelings are not so acceptable in our modern-day, ultralogical culture. As we grow up we are encouraged to suppress emotion and rewarded for being rational. Do you recall any of these phrases from your childhood? We actually receive information from our intuition all the time — like getting a definite feeling, good or bad, about someone we have just met — but we block ourselves from recognizing it. Fortunately, we aren’t completely successful at this, and our intuition regularly breaks through our barriers, especially in a crisis. Have you had any of the following intuitive experiences? Knowing when someone is lying to you or manipulating you. Getting a strong feeling that you should (or shouldn’t) do something (and finding out you were right). Knowing from a distance when something is wrong with your baby or one of your animals. Thinking of someone and getting a call or letter from the person. Knowing how someone is feeling. Knowing something is going to happen before it does. Knowing who is calling before you pick up the phone. phenomenon, I view it as an ancient skill that is now being revived. I believe our ancestors were as adept at intuitive communication as animals are today, and that they were in constant intuitive connection with one another and with all aspects of nature. With their unobstructed intuitive senses, animals are able to read minds. They know what a person or another animal is thinking and feeling and are able to see, in their mind’s eye, the images in the mind of another. 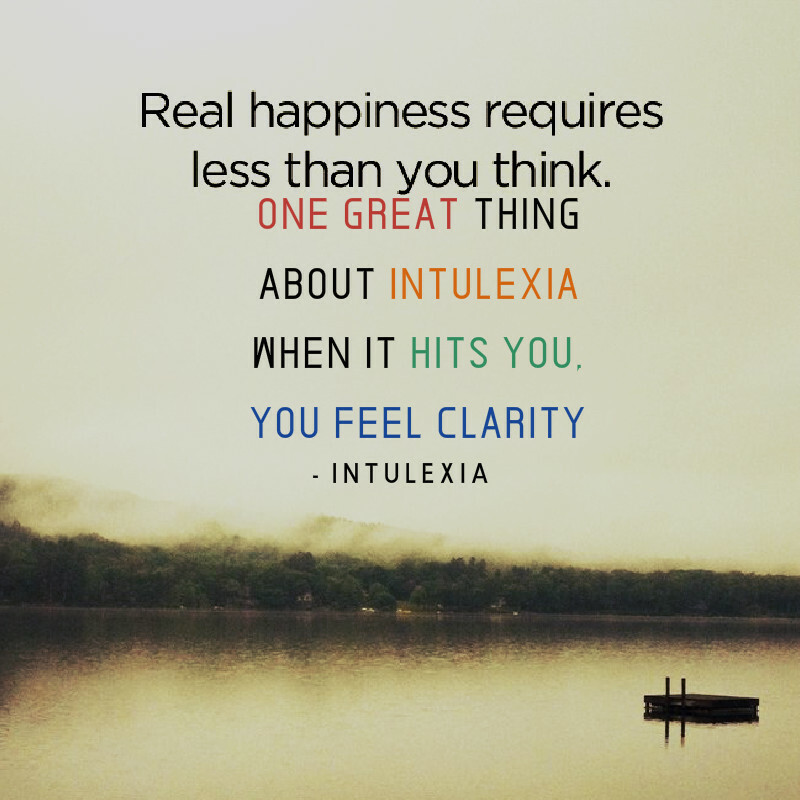 INTULEXIA using The Ten Stage Voice: Every time we speak we are concurrently sending intuitive information. For example, if you tell someone about your wonderful vacation at the ocean, you are at the same time and without your volition or awareness sending the person images of where you went, physical feelings of how it felt to be there, and emotional feelings that you had while there. Conversely, if someone is telling you about her great hiking trip, you are receiving from her, without realising it, images, sensations, and feelings of the experience she had while on her trip. The trick to communicating intuitively is to gain conscious control and awareness of this process, which is, as I’ve said, now largely unconscious in most modern human beings. INTULEXIA regaining of our childhood voice: Animals pay attention to the information that comes to them intuitively as hunches and feelings. Humans, on the other hand, have been trained to disregard such impressions as inconsequential. From the moment we are born, we are subtly, and sometimes overtly, conditioned to tune out our intuition. In traditional recovery rational minds try to take over the processes of recovering, striving to choose the “right” or more plausible answers, which effectively once more cuts off intuition. 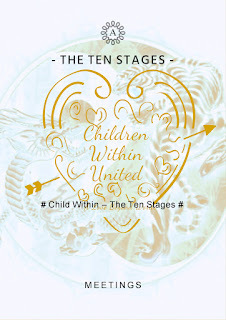 With ten stage practice we learn to override our rational mind and focus instead on the flow of information coming to us intuitively due to contact with our original perfect child within remember you cannot communicate verbally with a baby you must communicate using Intulexia. 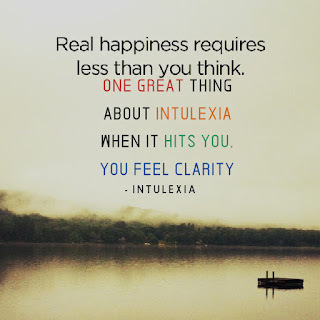 INTULEXIA is the product of The Ten Stages: Intuitive emotional information can come to us in a variety of ways: feelings, images we see in our mind’s eye, memories of other situations that have relevance to the present, and words or phrases that pop into our head. We can even get virtual sensory data, like phantom physical feelings, smells, and tastes. The key to reclaiming intuitive information is to learn to accept it. Ultimately, listening to the intuitive mind is a surrender based on the trust of our child within. Title: Ultimately, listening to the intuitive mind is a surrender based on the trust of our child within. Ultimately, listening to the intuitive mind is a surrender based on the trust of our child within. It’s playing it by ear, listening for the voice within. We trust that it’s possible to hear into a greater totality which offers insight and guidance. Ultimately, we trust that when we are fully quiet, aware, and attentive, boundaries created by the mind simply blur and dissolve, and we begin to merge into All That Is. And All That Is, by definition, includes answers as well as questions, solutions, as well as dilemmas. HOW DO WE LEARN MEDITATION IN STAGES? Title: HOW DO WE LEARN MEDITATION IN STAGES? 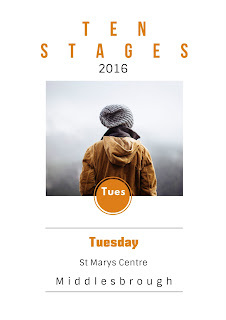 Stages Meditation is not a spiritual practice. Meaning it wasn’t designed for people whose spiritual path involves detaching from society. This method was designed by our students for what we called “Every-Day Meditation.” For people who are fully engaged in life. Multi-tasking people with hyperactive minds. People with jobs, relationships, families and stuff. In other words…people like you. WHAT IF MY MIND IS TOO CRAZY TO MEDITATE? OR WHAT IF I CAN’T SIT STILL?If you feel like your mind is always active, or that your body is too fidgety to sit still, you are actually a perfect candidate for this technique because you don’t have to ‘try’ to stop thinking, try to sit still, or ‘try’ to do anything for that matter. ‘Trying’ to meditate is actually what excites the mind and leads to more thinking. 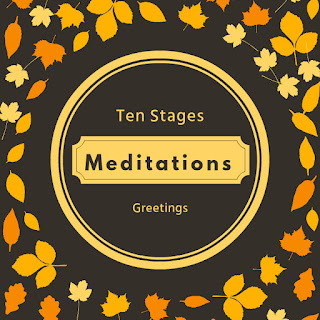 Stages Meditation effortlessly settles the mind and body in the most natural and immediate way. Labels: HOW DO WE LEARN MEDITATION IN STAGES? We must listen to the child within, inside us. Title: We must listen to the child within, inside us. When we speak of listening with compassion, we usually think of listening to someone else. But we must listen to the child within, inside us. Sometimes the child in us needs all our attention. That little child will emerge from the depths of our consciousness and ask for our attention. If we are attentive, we will hear his or her voice calling for attention. At that moment, instead of paying attention to whatever is in front of us, go back and tenderly embrace the perfect child within. 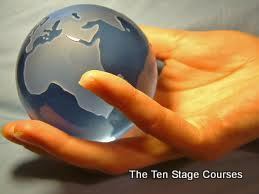 The primary function of the ten stages is to recognise and not to fight. At the Ten Stages we recognise that meditation uses words, images, and feelings to evoke a lovingkindness and friendliness toward oneself and others is the healing balm of our practice. If we do not complete our ten stages, where we remain in our unconscious state we will not be awakened to our escapist dissociated state. our eyes will continue to deceive us. We will misread our truth and our actions will manifest deceit for ourselves and others. And the more our consciousness is disconnected from our child within the less awakened we will be. When we step back from ourselves, recovery becomes simple. Title: When we step back from ourselves, recovery becomes simple. Our Recovery in the Stages is complicated because we pass it through our habitual thought patterns. When we step back from ourselves, recovery becomes simple. There are not many paths to freedom, there is only one. In the end, no matter what particular patterns of thought we have managed to build in our minds, freedom always means transcending these personal thought patterns. 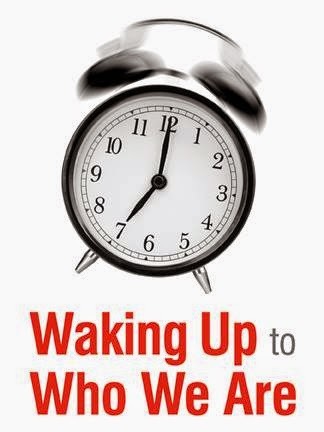 But how does one go about transcending the personal self and awakening to recovery freedom? What is needed for this journey are succinct stages that are so universal that they can echo through the halls of any religion as well as support intellectual understanding. The following is a universal road map to Recovery. A. Coming to the Realisation that we are in there. We must first come to realise that we are in there. From deep inside, we are all experiencing this world. We are experiencing our physical body, our thoughts, and our emotions. We are conscious and we are experiencing what it is like to be human. B. Coming to the Realisation that you are not okay in there. Something has gone wrong. Look to see what's going on inside. If we want to understand why we've done everything we have ever done, if we want to see what's really going on, just observe our mind and emotions--just experi­ence our inner state our child hidden within. If we objectively look, we will see that we are never completely at peace. We will see that we are not okay in there. 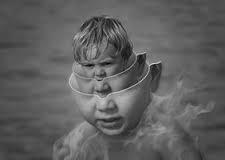 At any point when we look at the state of our child within, We will see that something is bothering us. We will then notice that this causes urges, drives, and impulses to do something about it. We will find ourself constantly trying to either get something or avoid something. All of this is done in an attempt to be feel okay. D. We have taken on the job of figuring out how everything needs to be for us to be okay. If we watch, we will see that our adult mind is always telling us what we should and should not do, what others should and should not do, and how things should and should not be. All of this is the adult mind's attempt to first create a conceptual model of what would make us okay, and then try to get the outside world to match it. E. We process how the outside needs to be. This is not going to make you okay. We must seriously look at this process of trying to be okay. We've been at it our entire life--we've just tried different things at different times. While it's true that sometimes we manage to make it better for short periods of time, we know that we've never even come close to reaching a state of permanent peace. Watch very closely how we react to the things our mind has preferences about. We will see that if our mind gets what it wants, we feel joy; if it doesn't get what it wants, we feel disturbance. Likewise, when our mind experiences what it doesn't want, we feel disturbance, and when it avoids what it doesn't want, we feel relief. We will never be okay playing this game because the world will never match the conceptual model our mind has made up. Eventually, we will come to see that struggling to be okay does not work. At some point, we will try to find a different way to be okay in there. F. Learn to not participate in the mind's struggle to be okay. This step is about learning to sit in as the witness, the part of you that notices the child within urges to be okay. We must become comfortable with sitting in there and not participating in the inner dissociations. We learn to relax in the midst of them. We come to see that there is a habitual process in which the moment we feel inner disturbance/dissociations, we are drawn into doing something about it. We must learn to sit inside and not participate in this process. If we truly understand that going outside to try to be okay inside doesn't work, then we'll be willing to sit inside and simply allow the disturbance to pass through. It is not difficult. If we can do this, all disturbance will cease by itself. G. Learn to go about your life just like everyone else, except that nothing we do is for the pur­pose of trying to be okay. If we aren't so preoccupied with trying to be okay, we will be free to sit inside and quietly love, serve, and honour whatever naturally unfolds in front of us. When we reach this point, we are no longer living for ourself. We are interacting with life, but not for the purpose of being okay. H. As we sincerely let go of the inner energies we are watching, we begin to feel a deeper energy come in from our child within. Up to this point, everything we were watching inside was in front of us. But now that we are no longer being drawn into those personal energies, we'll realise that our inner universe our child within are actually very expansive. We will begin to feel contact with our child within Spirit. It lifts us and brings us love and joy. I. our child within experience becomes so beautiful that we fall we experience a profound contact with the energy of our child within, and we develop a very deep and personal relationship with it. It will become completely clear to us that there is an absolute trade-off between our personal ener­gies and the amount of contact that we feel. The more we get drawn into our personal energies, the less child within we feel. 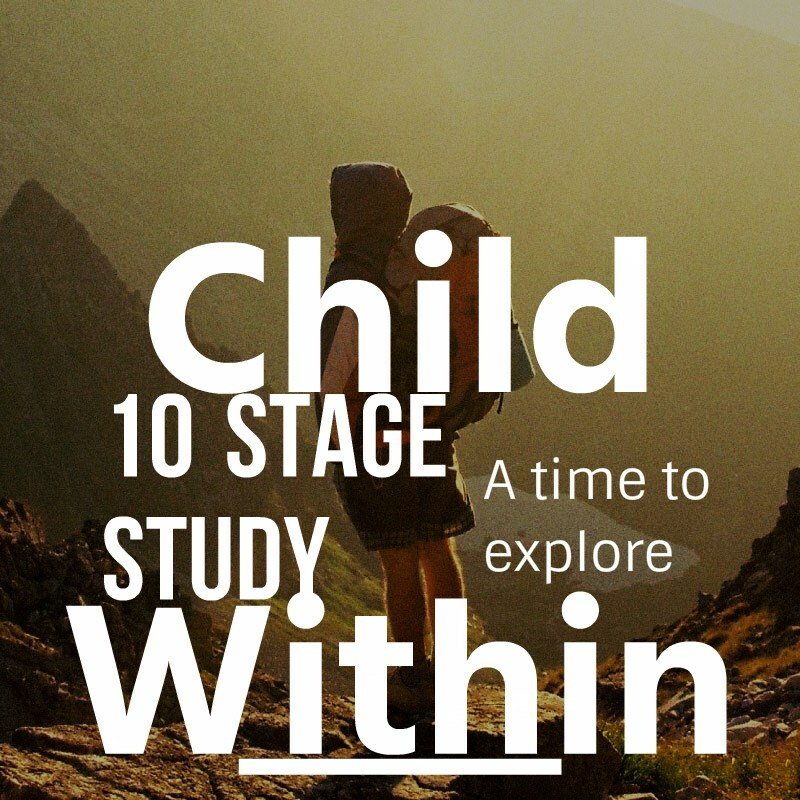 The more we don't participate in our child withins energies, the more recovery we feel. We now have a direct relationship with our child within, and we will find ourself constantly longing to experience it. J.We begin to feel the energy pulling you up into your relationship with your child within, and our entire path becomes letting go of ourself in order to merge. Will is no longer needed. Now our path is strictly about releasing ourself into the pull of the child within. We must surrender deeply enough to be able to overcome the fear of losing our connection to the personal self. We must to be willing to die to be reborn. K. Once you get far enough back into the child within, we realise that our personal life can go on without us, leaving us free to become immersed in our child within. This is the greatest miracle: We've surrendered and our entire life is about child within, yet people, places, and things continue to interact with us. The difference is that these interactions require none of our energy. They happen naturally, by themselves, leaving us at peace and be absorbed in Loving-Kindness. L. Now we are truly okay and nothing inside or outside of us can cause disturbance--we have come to an understanding with it all. Because we are now completely recovered, we don't need anything. Things just are what they are. At this point, we know ourself as Child Within. The world, mind, and heart cannot disturb us. We've transcended them all with the help of our child within. 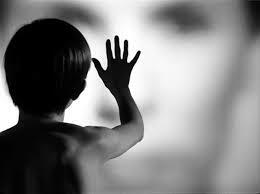 What is more, instead of feeling drawn into Spirit, we now actually experience ourself as Child Within. We have no boundaries in time or space. We have always existed and we will always exist. We have no form, shape, gender, or body. We simply are, have always been, and will always be--Infinite Child Within. What is this inner revolution? Every child falls over, and for some, mum or dad dies, and it hurts. The goal of the intuitional practice is to calm the mind and bring less attachment to the outside comings and goings of life. 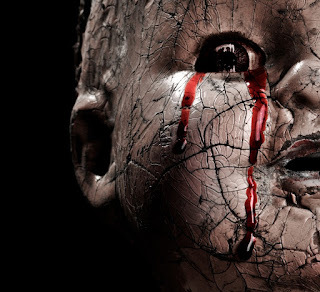 For our child within the trauma is still going on in our head, though not in our reality. Our intuitive voice is high jacked by the traumatic voice of childhood. Jumping off the cliff and growing wings on the way down. Title: Jumping off the cliff and growing wings on the way down. Labels: Jumping off the cliff and growing wings on the way down. Children Within Us self rule for the abandoned child and what is missing in our lives and the lives of others. Title: Children Within Us self rule for the abandoned child and what is missing in our lives and the lives of others. Children Within Us self rule for the abandoned child and what is missing in our lives and the lives of others. This is not an idealisation or a wish list but some of the needs that are missing from our lives that we need to come to an understanding of, and where if any the illusion of shame and blame that we carry into adulthood lie. We really need a child within us who loves us fully. We need a child within who understand us fully. We needed parents who recognise that once they’ve brought us into the world they must devote their lives to us, body and soul. We needed parents who realise that all their purposes in existing must be performed in light of how it can help us grow, help us mature, and help us thrive. We needed parents who have spent years in preparation for our creation – years before the sperm and the egg that created me ever met. We needed parents who devoted their lives to the betterment of themselves in mind, body, and spirit. We needed parents who entered the deepest and darkest depths of themselves and resolved the most painful traumas of their own past. We needed parents who no longer live awash in the wounds foisted on them by their own parents. We need parents who have become fully enlightened and no longer store hidden parts of their ravaged selves in their unconscious. We needed parents who no longer wish for their own parents to rescue them, and secretly expect me, their future offspring, to pick up the torch where their own parents left off. We needed parents who can instead devote the whole summation of their beings toward the betterment of us. We needed parents who don’t lie to us – or to themselves. We needed parents who can be straight with us. We needed parents who can be straight with each other, and have no hidden agendas for us. We need parents who don’t use us as a pawn in their relationship games with others, and most especially each other. We needed parents who can let us be who We are – and not brag about me. We needed parents who do not see me as an extension of themselves, and thus do not say “thank you” when someone compliments our beauty. We needed parents who instead say, “yes, you’re right,” and don’t secretly feel self-gratified by my wondrous self. We needed parents who do not live in fear of their own deaths. We needed parents who live in the moment, because they have integrated the truths of their past. We needed parents who are youthful in spirit and healthy in body, and who will not abandon us to death before We are ready to stand on our own as an autonomous adult. We needed parents who raise us in a safe and comfortable and enriching environment – not in the midst of a civil war or a starvation-torn land or a silent room with a television. We needed parents who, if we are a boy or a girl, wouldn’t dare circumcise our genital organs. We need parents who devote themselves to our health. We needed parents who don’t drink alcohol or take drugs or take unnecessary medications. We needed parents who are sober at all levels of their being. We need parents who would never physically hurt us, for any reason. We needed parents who love children, and can easily relate to them – and don’t instead force us to relate to them. We needed parents who let us grow at our own pace, and let us be a kid when We need to be a kid. We needed parents who don’t expect adult responsibility of us before we become an adult. We needed parents who marvel at the preciousness of our existence and realise that we are the epitome of our unbounded spirit. We needed parents who laugh because they feel the joy in our life. We needed parents who know how to have honest fun, and want to include us in it. We needed parents who have resolved their addictions. We needed parents who are not avoiding the true light of day by being addicted to me. We needed parents who do not project their blocked past onto us, but instead see me for exactly for who We are. We needed parents who do not expect me to love them. We needed parents who know the difference between love and need. We needed parents who are experts on self-nurturance, and by extension know how to nurture us. We needed parents who are emotional adults through and through – and we need two of these parents. And we need these two parents to also love each other. We needed these two parents to be fully in accord with their holy role as the warden of our growth. We needed two parents who are both willing to go to all lengths to give their best for us. We needed two parents who are both willing to die for us. We needed parents who can progressively let us go as we progressively mature. We needed parents who can follow our lead and listen to our revisions of the plan. We needed parents who do not go into withdrawal when We don’t love them. We needed parents who let me get angry when they make errors or do inappropriate things with us – and We needed parents who change their behaviour so they stop making these errors. We needed parents who do not punish us for our honest and healthy reactions, and love us anyway. We needed parents who understand the meaning of healthy human sexuality. We needed parents who will in no way use us to meet their own unresolved sexual or love needs. We needed parents who will shield us from as much of the hellish impurity of the world as they are humanly able to do. We needed parents who are willing to sacrifice all their own personal comforts to create a nourishing environment for us. We needed parents who take no credit when the work is done. We needed parents who would have been our role models. We need to communicate these facts to our child within as we work the Ten Stages. The way to deal with normal sexuality in a healthy way is to keep on healing. Moving forward is disturbing, and anyone who tells you otherwise is not moving forward. Labels: Children Within Us self rule for the abandoned child and what is missing in our lives and the lives of others. Half way through the course after meditations we will start practising using our newly found intuitive voice, intuition may at first seem like learning a new language. You look deeply for answers, question what you get and are fearful of making a mistake. This only serves to bring in the reasoning mind. Instead, don’t strain, fear or worry over the matter — be light and joyful about it. Our intuition is always with us, it’s just a matter of getting familiar with that “still small voice”, that voice that we have heard since childhood, but which we often tune out — or question if its valid — or think its just imagination. When trying to make a decision, our intuition will be our first thought, the thought that sneaks in under the radar, before the rational mind kicks in to analyse (and argue) with it. For example, while travelling over a holiday weekend, my first thought was to take a back road. This country road would be about a 30 mile drive to the connecting main road. Immediately after this first thought, I reasoned that to take another road to the motorway made more sense. The back road travelled through small towns, while the motorway had more lanes,faster speed limits and no traffic lights. The motorway seemed to be the “rational and reasonable” choice. About half way to the motorway, we came upon a major traffic jam on the motorway. We moved at a snail’s pace for nearly an hour. The whole time we were stuck in traffic, I kept thinking about that country road. 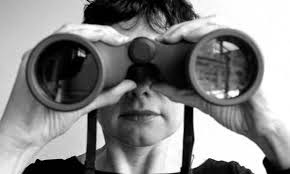 Your intuition will suggest the next step – not the whole plan. Your intuitive thought will most likely feel like relief. For example, if you wonder if you should sell your house, how does it feel? Does it feel like relief? Your intuitive thought will be for the benefit of all concerned – it is not competitive, vindictive, hurtful or revengeful. Your intuitive thought will be for your higher good — but it will not tell you how unique and special you are; nor will it put you down. Your intuitive thought will likely be a step out of your comfort zone. Your intuitive thought will likely be an idea you've never thought before. Your intuitive thought is that thought that hits you while you are in the shower or driving your car. That thought that comes when you have stopped trying to find the answer. To start using and trusting your intuition, start with making small decisions. Minor decisions will lead to major decision making skills as you get a feel for your intuitive voice. Instead think in the affirmative: “I’ll have pizza for dinner” and see how that feels to you. What thought comes up immediately (under the radar) about that decision? Early this morning I lost my wallet, I immediately thought how stupid I was keeping all my cards, money travel passes in one place.At 4 a.m its very dark I hunted in cars I had used made a trip to another house and started to worry as the monkeys in my head took off, idiot they screamed. I stopped remembered the program and went to bed and I slept for a further four hours on awakening I leaped out of bed in a memory flashed moment I believed I really....I shot to a table I had been using NO WALLET. I let go had a glass of water sat at the computer screen and without thinking turned my chair over and I found a half eaten pack of rice cakes as I lifted them up my wallet came into view and I thanked my intuitive voice for the rest of the day.